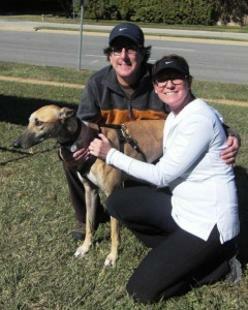 Ringo (Racin Ringo) - ADOPTED! History: Although trained to race, Ringo had no interest. He would rather lounge on a comfy dog bed, so he “retired” early. 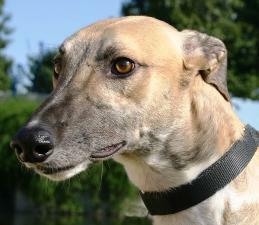 See Greyhound-Data.com for more information. Ringo and his new family, Kristin and Christian. November 10, 2010 update: Adopted! 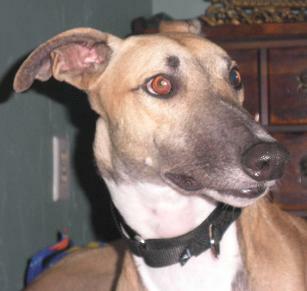 September 6, 2010 update: Came to TAGS to find his forever home. Additional adoption information may be found by clicking here!